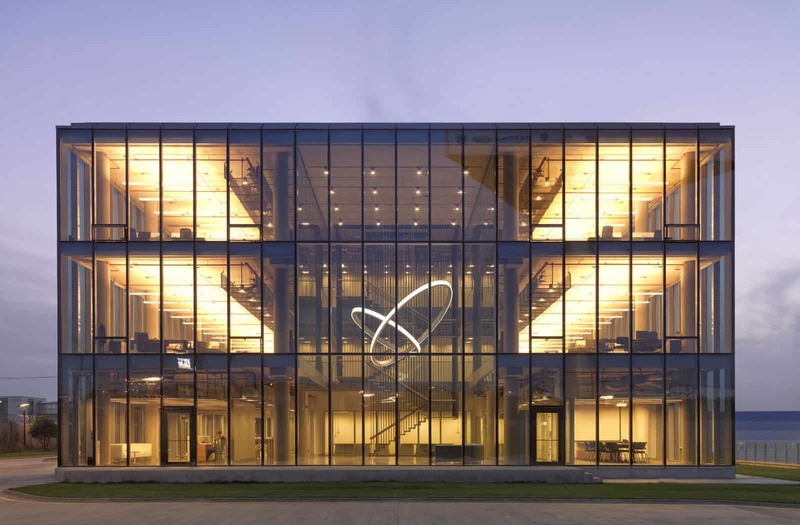 Planlux developed architectural lighting design project for Doğuş Oto Technology Campus by Dogus Automatic, architectural design by Era and Midek Architecture. The project was awarded by IES (Illuminating Engineering Society) in 2015. Illumination Award of Merit 2015 (The IES Illumination Awards program recognizes individuals for professionalism, ingenuity and originality in lighting design based on the individual merit of each entry. Judges are selected from a broad professional spectrum representing knowledge of lighting and design excellence. The judging system is entirely based on how well the lighting design meets the program criteria.) 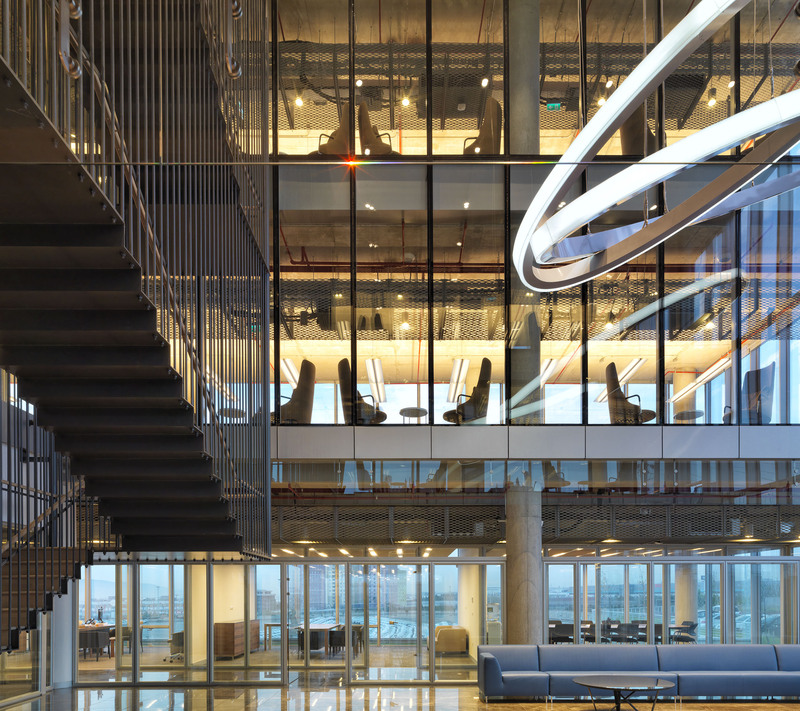 Article about the project by Elif Ayalp: The office building of the Doğuş Group Automotive, a sub-group of one of Turkey's pioneer groups actively working in eight core businesses, designed by Midek /ERA architects, has been recently completed. The office building including information technology departments as well as the data centres is located on TEM highway, in Gebze, Istanbul where the urban developments have started to present itself gradually in these last years, similar to the fast-growing nature of the group. The building is formed with a reinforced concrete structure and a glass façade. 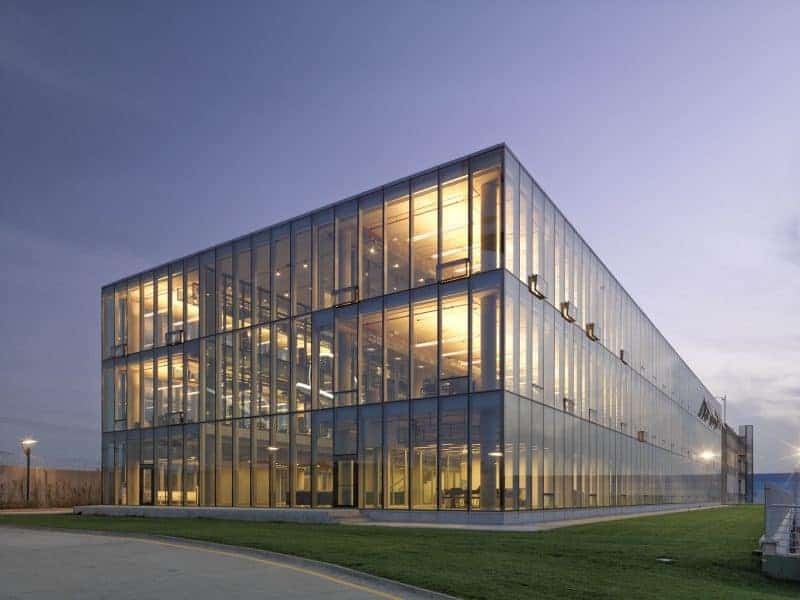 The architects designed a transparent structure in contrast to the existing large prefabricated modular depot warehouses with massive outlooks, which were built nearby because of the requirements over time. Smart architectural design of the façade and the interior lighting details empower the feeling of transparency in all directions. During daytime, the structure reflects the images and movements of the natural environment and the lighting around itself. During night time, the concrete structure is successfully melted with only the occupancy lighting. So the design itself allows the viewers from outside to interact with the interior spaces and eventually to define them. The horizontal and vertical clear concrete surfaces have been equipped with basic and simple design general lighting fixtures. 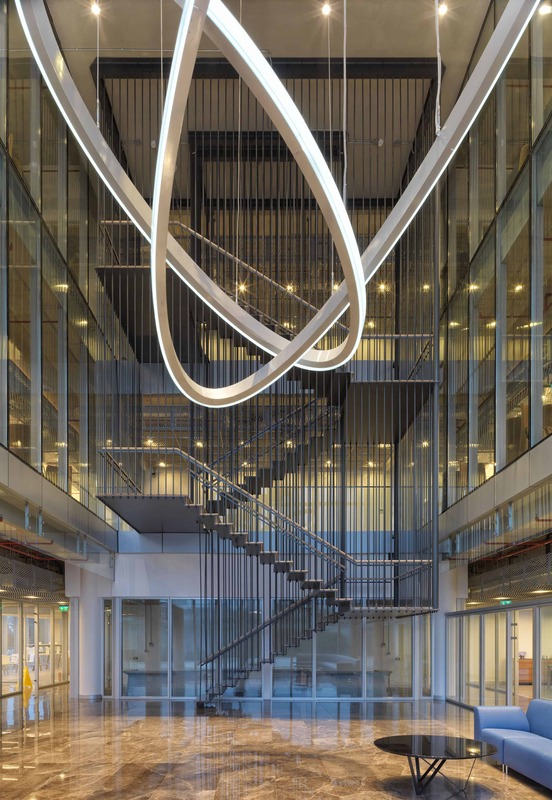 In the corridors, the general lighting has been integrated together with the mechanical and other electrical equipment to the mesh box located on the ceiling circulating the corridors. The direct and indirect pendants used in the open office areas help to satisfy ergonomic and efficiency needs with their adjustability to the natural light changing thanks to Dali based programmable dimming abilities and to the needs of the office users. 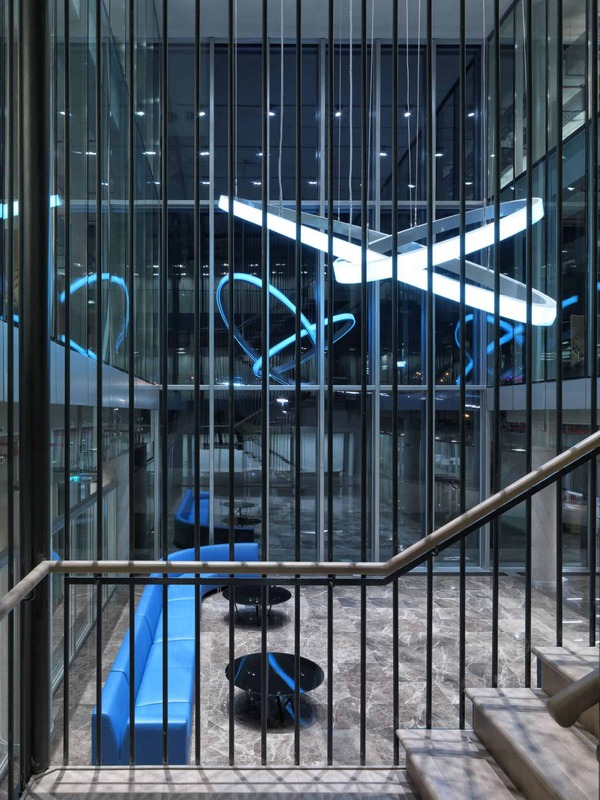 The entrance lobby with a high ceiling is equipped with narrow beam metal halide downlights and colour changing large-scale circular pendants all positioned in a certain regular and symmetrical pattern like the building itself. 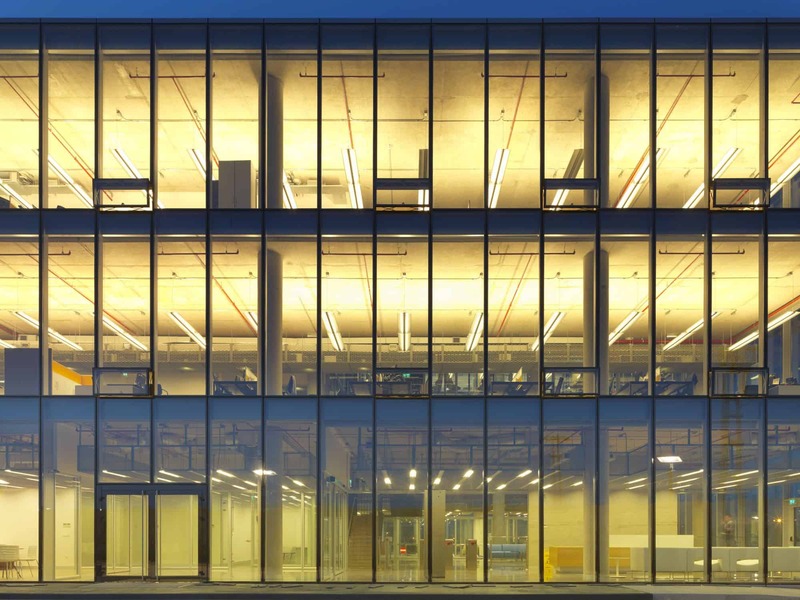 The success of the project is due to the perfect harmony of the lighting with the building, reflecting all together Dogus Automotive's approach and success.